I've been struck lately with a real streak of thankfulness. Thankful for my parents, my wife, thankful for my children, for democracy to vote. 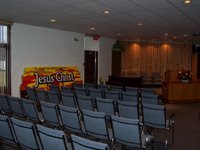 More specifically I've been very thankful for the ability God has given us to minister in this area of Toronto, thankful for the connections we have made with so many people, thankful for the progress that has been made, thankful for the supporters who read this site, donate, and pray for us. Over the past 3 years we have poured ourselves into this area, and something very special is about to happen on Saturday that I am very thankful for! Over the next few days I will be posting a progression of pictures that will chronicle the mounting of the lovely sign you see on the left. Now this might not be a big deal to some of you, but for me, this is a DREAM COME TRUE!!! 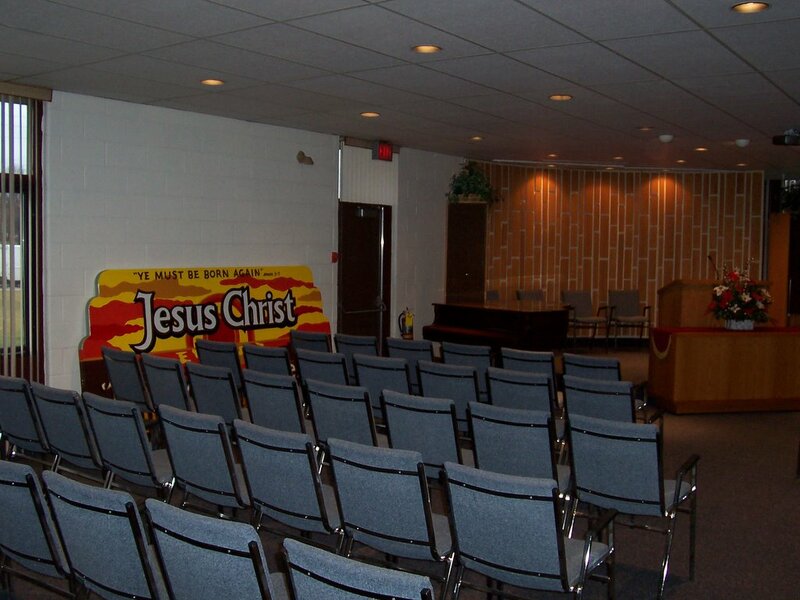 You see Bridlegrove Bible Chapel is situated on the corner of a major intersection (Finch & Pharmacy) here in Toronto. 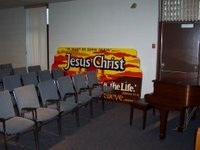 Late last year I contacted the Gospel Text Mission about the possibility of placing a large gospel sign on our building. Right on the corner. So hundreds of people every day could see the gospel clearly portrayed! I'm pumped! 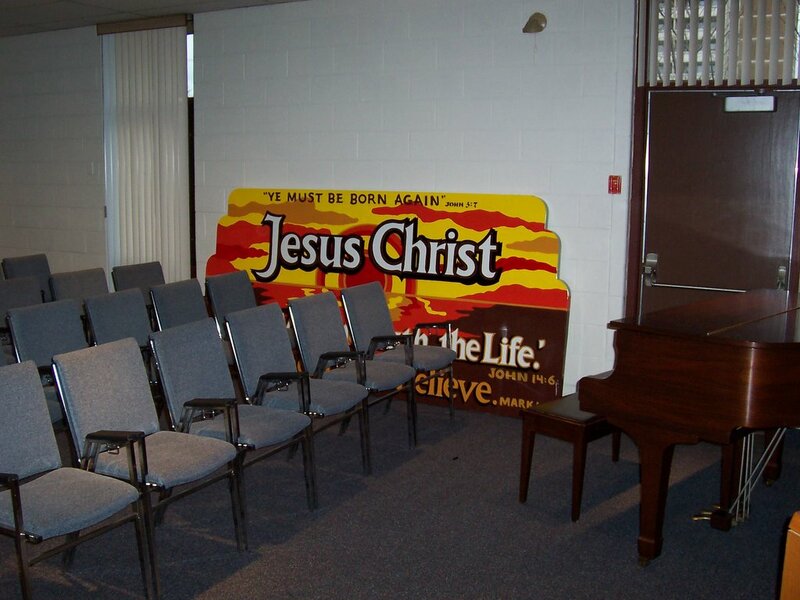 Currently the sign is sitting in the main sanctuary at the chapel. I'll post more soon about the voyage from dream to reality.